My friend Mark went to this and said it was amazing. That the string section more than makes up for the missing members! I think he's still running on adrenaline from it, and it's five days ago at this stage. However, I think that some of us Irish bloggers should join together to skew the results. Either that or get Fight Like Apes and company on the list. Any ideas how we should go about this? Should we all make the same list and send it in? Let me know. I wouldn't be a constant viewer of the Panel. I watch it most weeks, and most weeks it's pretty good. Last night, however, was a strange episode. As usual the show had a guest host, this week being RTE newsman Charlie Bird. Charlie does an excellent job covering the stories from around the globe, even from his hotel balcony in Beirut or whatever exotic location he's at this week. We all had sympathy for Charlie after the Love Ulster riots. The poor fella. But his guest host performance on The Panel had to be seen to be believed. He was more wooden than an antique cabinet (sorry I couldn't think of any Roy Curtis style simile there), and spent more time looking down at his prompt cards than at the camera. Nor do I think he cracked one joke all evening. Maybe they were cut from the airing. The guests themselves were quite interesting, especially Kenny Egan who provided a nice bit of insight into his Beijing experience, but didn't give much away about future plans. Madison Square Garden sounds more appealing than Wembley Stadium, but maybe that's just me! When Kenny Egan did come on however, all we could see Charlie do was try to come on to him. He touched the "big fella" numerous times, and Egan was doing his best not to appear uncomfortable. He handled it very well. Charlie Bird on the other hand, needs to be much more subtle. I would also like to highlight how I think Neil Delamere is getting funnier by the week. Practice makes perfect. I used not to like him, but he's gone way up in my estimations, and his voices and characters are splendidly funny. What Irish TV could do with is a proper sketch show, like Harry Enfield and the Fast Show rather than Naked Camera 2. Neil would be perfect for this. And if they're looking for co-writers, I'm sure I'd be available! Seriously though, hopefully we never see Charlie Bird on a comedy program again. Darfur is more up his street. Check out this Irish music blog, named after one of Mundy's greatest tunes. They've got some sweet downloads, which is always wonderful. I'll say no more. 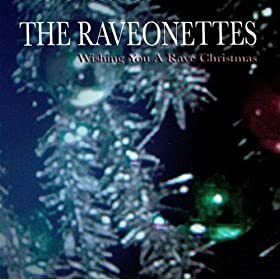 Yet another 2008 EP release from The Raveonettes, this time it's a Christmas special Wishing you a Rave Christmas. What better band of the moment to cover than Fleet Foxes? Well Fleet Foxes covering Vampire Weekend would be cool, but until that happens the excellent First Aid Kit taking on 'Tiger Mountain Peasant Song' by Fleet Foxes will have to do. Fairport Convention have almost been around as long as my parents. The band themselves are older than my folks, but they've been playing music since my own Papa and Mama were in their teens. Don't think they owned any folk on vinyl though. Planxty was what my Dad loved. Anyhow, Fairport Convention will play Dublin's Whelan's on May 14th, 2009. Tickets cost €20 and are on sale now. Thanks to Lauren for yet another great announcement! Deerhunter will play Whelan's on Wexford Street next March, the 7th. When i read it first, I thought it was the 17th, so Paddy's Night is still free for some great band to blow off my ears. Tickets are €14 and will be on sale soon. Jason Isbell & The 400 Unit are set to release the best album of the decade (maybe the best album ever) on February 17th, 2009 (a bit late for my girlfriend to get it for me for Valentine's Day, but I'm a patient man). The album was co-produced by Isbell and The 400 Unit with Matt Pence. "I want it to be known that it's a band record," says Isbell. "I want it to be known that it's something we all did together. Even though I wrote the songs, it was a very inclusive project." You've probably heard of the upcoming Hives and Cyndi Lauper Christmas Duel which will be made available as a free download this weekend (Thanksgiving in the US) from the Hives' own website. Great work from Sugarlips and the egocentric guys for setting this up. French phenomenon Papier Tigre are coming over to play Dublin's Twisted Pepper (on Abbey Street) for the relaunch of SugarLips. The gig is on this Sunday, the 30th of November with support from Night on Earth and Realistic Train. Disappointed by the Dan Friel solo record this year? I was, but luckily Dan hasn't decided to give up the day job just yet. Parts & Labor are also due to play Dublin's Crawdaddy in 2009, two weeks before Jay Reatard, on February 15th. Tickets cost €12.50! Yes, that's all! Oh, and they're on sale now. 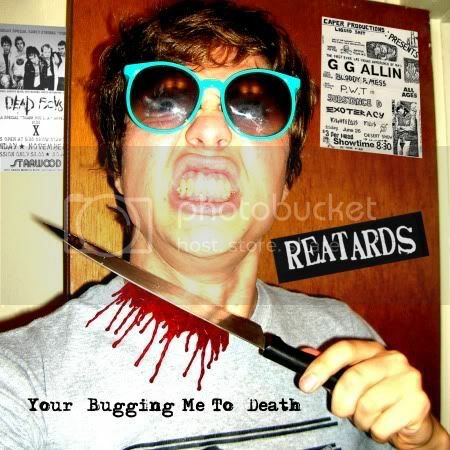 Great news for all of us who actually bought tickets for Jay Reatard at Whelan's last weekend, his gig has been rescheduled for CrawDaddy next February. Tickets for Whelan's are still valid, and new tickets can be purchased as of now for a bargain €14. The rescheduled gig will take place on February 27th. Another 2009 gig to look forward to! The first of the Best of 2008 lists from our native shores (well, first that I've seen, let me know if there's any others) comes from UCD's University Observer newspaper, in its o-two section. Anyhow, they only have a Top 3 albums for 2008, but still it's pretty interesting to see ones this early. Nice to see one of our Irish acts make it, but to see Bloc Party this high on any list might indicate the fact that the writer has failed to listen to many of 2008's more hyped records, Fleet Foxes, Vampire Weekend, TV on the Radio and the like. Maybe I'm wrong. I'd love to see that writer give their perspective. Now if only I could get the PDF download on their site to work, I'd be able to find out the name of that person!